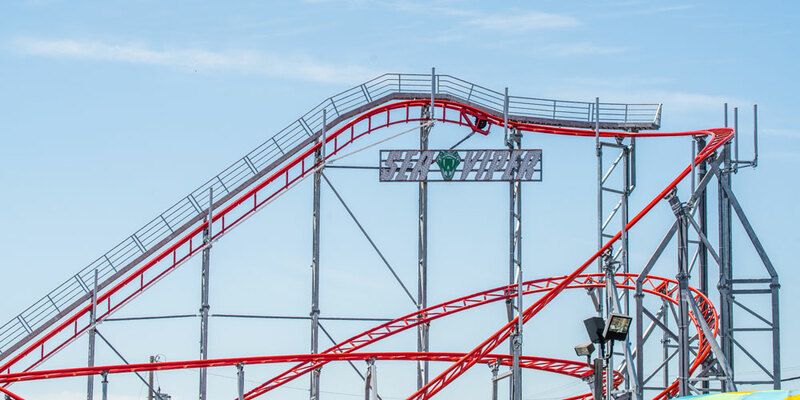 Palace Playland’s newest coaster brings the heat. Palace Playland is open daily through August. 1 Old Orchard St., Old Orchard Beach. 207-934-2001. The Sea Viper’s height, in feet, almost twice the Galaxi’s. Miles between the Sea Viper’s manufacturer in Italy and Palace Playland. Square feet the Sea Viper occupies, double the Galaxi’s real estate. The Sea Viper’s max miles per hour, compared to 31 on the Galaxi. Seats on the Sea Viper, up from eight on the Galaxi. Cost to purchase and install the new coaster.